DePAW University Canine Campus, Inc. Newsletter Archive - Happy Valentine's Day & Pet Dental Health Month! February is National Pet Dental Health Month and has Valentine's Day! DePAW has a variety of dental care products for cleaning your pet's teeth. Brushless sprays and gels, flavored toothpastes, and toothbrushes. Keeping your pet's teeth clean may prevent other serious health issues from arising. We also have local veterinarian partners that are offering dental specials for the month of February, check them out by reading further. Valentine's Day is fast approaching! Give your sweet pup a natural treat from our wide selection of all-natural chews and treats or maybe a new squeaky toy! They deserve it! Have you entered our Valentine's Day Pet Photo Contest? Time is running out to enter and get your photo the highest number of "likes" in order to win a $75 GC for boarding, training, daycare along with a pet goody basket for your pet. Check out our FB Event for details and to enter. Fun Pet Trivia: How many teeth do adult dogs have? Scroll down through newsletter to find the answer! Close your eyes and pucker up for some LOVE and AFFECTION with our "I Woof You" Valentine's Pet Photo Contest! We are going to give you and your fur babies a chance to win a $75 DePAW Gift Certificate (for Boarding/Daycare/Training) and a Dog or Cat Pet Goody Basket filled with treats and toys! Winner will be determined by the number of photo likes received by Valentines Day ♥ Click on the photo above to be taken to the event. Few boarding spots remain open for the Spring Break Holiday. We encourage you to hurry and reserve your pets space and be sure they are up to date on the required vaccines to board at DePAW. Click here to review our boarding policies. HONEST PAWS CBD OIL BOGO1/2 OFF IS ALMOST OVER! COME TAKE ADVANTAGE OF BEFORE FEBRUARY 15TH OR BEFORE WE ARE SOLD OUT! Further reading on CBD Oil & 10 things you didn't know, click here. DePAW has brought in special for this month a wide variety of dental care products from peanut butter flavored toothpaste, toothbrushes, brushless gels, breath sprays, etc. Keeping your pets teeth cleaned regularly can prevent many future illnesses. Click here to go to the American Veterinary Medical Association to learn more about the importance of healthy teeth for your pet. DePAW offers an assortment of training options that best fit you, your lifestyle, your family, and your pet. From Private Lessons, Daily Trains, Board & Trains, and Group Classes. Come in for a free meet & greet to see how we can help you achieve a better relationship with your dog. Call 630.232.8663 to schedule with one of our trainers. PET HEALTH NEWS - Please click the image above to be taken to our Health News Page regarding recent reports of kennel cough. 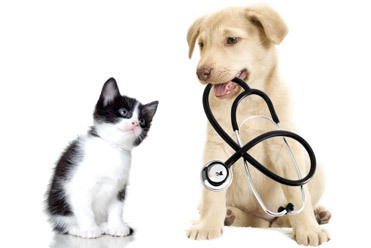 Valley Animal Hospital in Geneva is offering 10% off! Click the image above to be taken to their site to schedule an appointment. Animal House Veterinary Clinics in St. Charles and North Aurora is offering 10% off all dental procedures scheduled in February. Click their flier to be taken to their website to schedule! NEW FLAVOR ZIWI - VENISON - NOW 50% OFF WHILE SUPPLIES LAST! You may have seen signs on our entry gates when you arrive with your dog that read, “Dear Clients, due to the rainy weather today, our daycare attendants make every effort to limit potty breaks outside, however some of our furry friends may enjoy playing in a puddle or two while outside and may come out a tad wet at the end of their visit today. We appreciate your patience and understanding.”. This is just to remind pet owners that during melting snow, heavy rains, and spring wet weather dogs may be damp upon pick up. There are quite a few dogs that thoroughly enjoy taking a quick roll in the snow or partake in a fun game of chase through the rain puddles and melting snow with their friends during potty breaks that make them even damper. Thank you for your patience as we try to towel dry those exuberant ones the best we can, but scheduling a kennel bath and blow dry before pick up is a great option on these days to ensure having a clean dry fur baby upon pick up. Pet Trivia Answer: Adult dogs have 42 teeth. 28 as puppies. You are receiving this email because of your relationship with DePAW University Canine Campus, Inc.. Please reconfirm your interest in receiving emails from us. If you do not wish to receive any more emails, you can unsubscribe here.